Are you signing a fixed-rate mortgage or an adjustable rate mortgage? These two options have their own benefits and disadvantages. Would you be more comfortable paying off your loan with a steady interest rate or would you do better with an adjustable rate, knowing that mortgage interest rates constantly change? To make sure you are making the right decision, think long-term when it comes to paying your dues. All loans would eventually be sold to a secondary market. The question is, how well would you benefit from that sale? Ask about the lender’s standard procedures regarding loan sales before sealing the deal. At Texas Lending, we shop rates from 30+ lenders to find the best rate for customers. Since a refinance will significantly affect your finances, it is important to assess how much debt can fit into your budget. You can get a close estimate by checking the mortgage rate of your loan, as well as the term and the bottom line. Consider all the implications and do the match scrupulously to be certain that you are going for a financial decision that you are well-prepared for. Which would work better for you financially: a 15-year mortgage or a 30-year mortgage? Be clear on this before signing the contract. If you choose a 15-year mortgage, your monthly payments are higher but you’ll pay less in interest overall. With a 30-year mortgage, your monthly payments are lower as they will be spread out in 30 years. But then again, this would allow you to cover household bills and college tuition fees more comfortably. 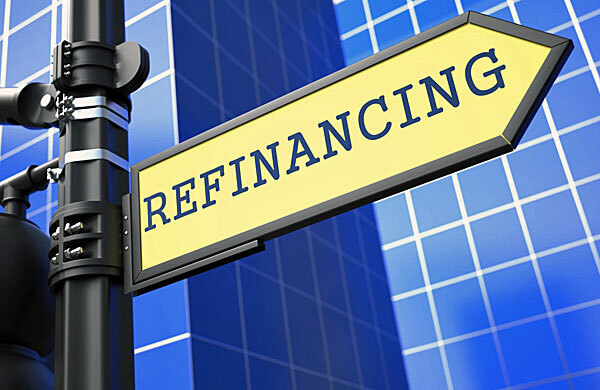 Finally, when you close the refinance deal, you will be given a closing statement. This statement details the items and fees in your agreement with the lender. Read through all of the inclusions and see to it that the same rates and charges that were initially discussed by the lender in their good faith estimate is the same as the ones in the closing statement. You are entitled to seek clarifications and postpone the contract signing if there are discrepancies. The state of your finances is different from that of your friends, your colleagues, and your neighbors. Take your time in evaluating your current financial situation as this will play a major role in helping you map out your own financial security. At Texas Lending, we ardently support Texas homeowners as they build their dream home while sustaining the needs of their family. To help you create a healthy and happy home in Temple, our loan officers provide an in-depth assessment of refi deals as well as different types of loans and how each loan may work well to suit your specific needs. Call us today for a free consultation!